The management of people with potentially irreparable rotator cuff tears remains a difficult problem. There are several options if a rotator cuff tear is deemed irreparable or a rotator cuff repair procedure has failed. Recently the procedure of Arthroscopic Superior Capsular Reconstruction (SCR) has been described. 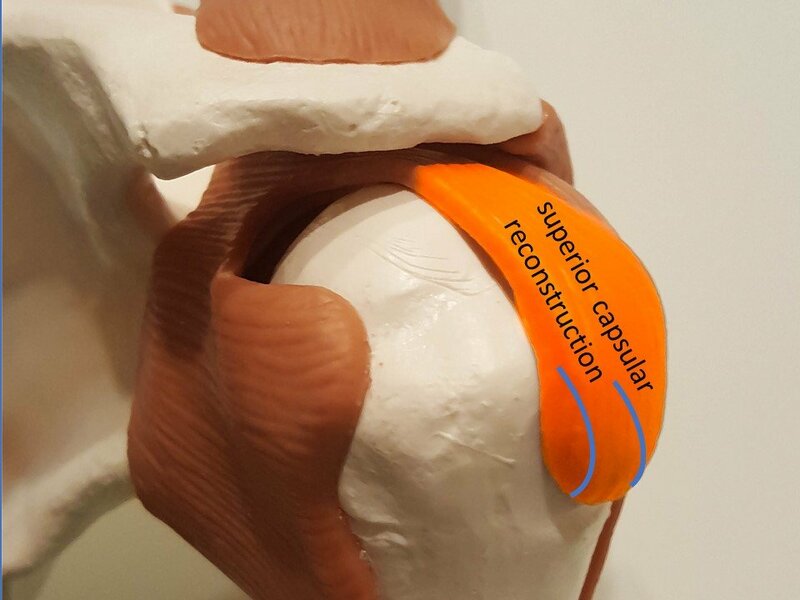 The superior capsule is the upper part of the lining of your shoulder joint. It has been shown to assist the rotator cuff in helping centre the humeral head on the glenoid socket. 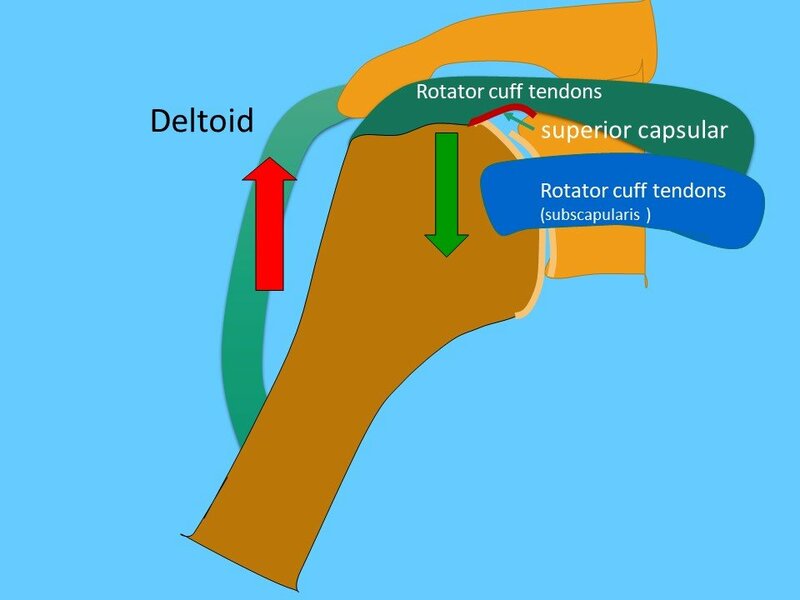 When the rotator cuff is irreparable, reconstructing the superior capsule has been shown to be a helpful strategy. The procedure was developed by Dr Teruhisa Mihata in Japan, who initially presented a series of these procedures performed in 2007 to 2009. The technique has been significantly improved since then. The arthroscopic superior capsular reconstruction address massive irreparable rotator cuff tears by reducing superior humeral upward movement by replacing the superior capsule. This new surgical technique works by placing a graft where the superior capsule once was. This may limit superior humeral migration. The procedure itself is an arthroscopic day surgery procedure. A dermal allograft is used as a graft. This is fixed in position using stitches and “anchors” very similar to a rotator cuff repair technique. The rehabilitation following this procedure follows the lines of a very conservative rotator cuff repair rehabilitation protocol.